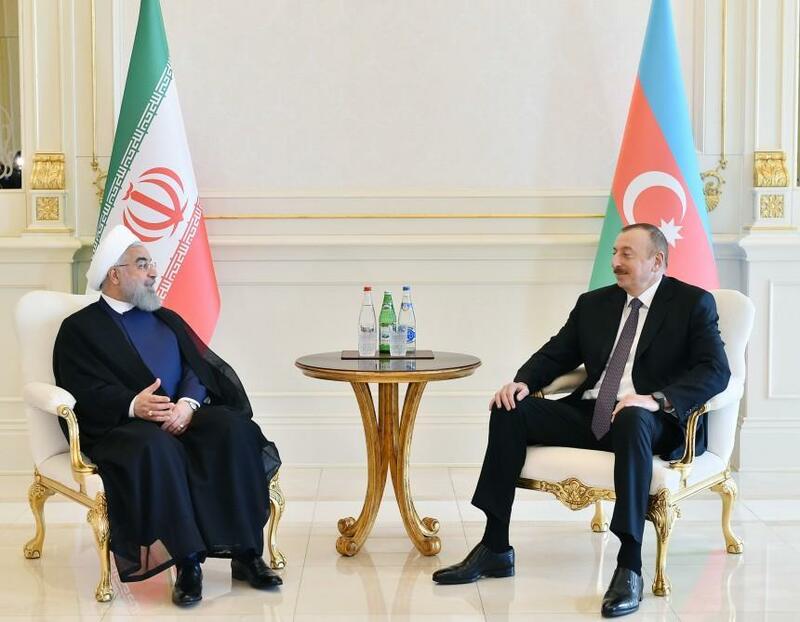 President of Azerbaijan Ilham Aliyev and President of Iran Hassan Rouhani have held a one-on-one meeting in Baku. The presidents addressed the meeting. “Dear President, welcome to Azerbaijan. I am very glad to see you. 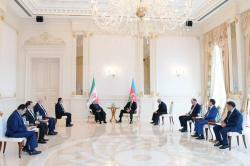 I am confident that the visit will be very successful, friendly and fraternal Iranian-Azerbaijani ties will develop. We have very close ties. We cooperate very well in all spheres. There are good results in all spheres: politics, economy, culture, energy and transport. The documents to be signed today will give a new impetus to the development of our relations. Our meetings are held regularly. The agreements reached during the meeting, the instructions that we have given are being fulfilled. 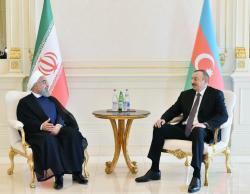 As a result, today Iran-Azerbaijan relations have reached the highest level. Welcome again,” President Aliyev said. “We are guests of your country and your people on Novruz. The two large nations of the region, two great nations have a common history and culture,” said President Rouhani. He pointed out that at the same time, common goals have been determined to carry out the determined tasks. “I am very glad that every time I meet with you. We see that we have managed to achieve development of relations between the two countries. This is our tenth meeting, that’s to say, one-on-one meeting over the past several years. This shows that the relations between the two countries are based on sincerity,” he said. “The agreements that we have reached before yield results today, and tomorrow we will witness several opening ceremonies,” he said. “I can definitely say that the agreements that we have reached during the current visit will contribute to the development of relations between the two countries. We consider Azerbaijan’s security and sovereignty as our sovereignty and security. Thanks to the will of the two states and two nations, we will further develop these ties. 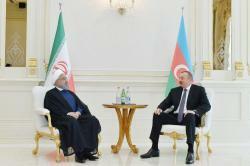 Once again, I thank you for the hospitality of your Excellency and your people,” President Hassan Ruhani said.